There have been many questions about Sizzix Bigz dies and what they do. How do you use Bigz Dies? Well, it’s easier than you think and Sharon Curtis of Sizzix shares some Bigz project ideas in the video at the end of the post! But before we get further, lets talk about dies. What are Bigz dies? Bigz dies are steel-rule dies from Sizzix. 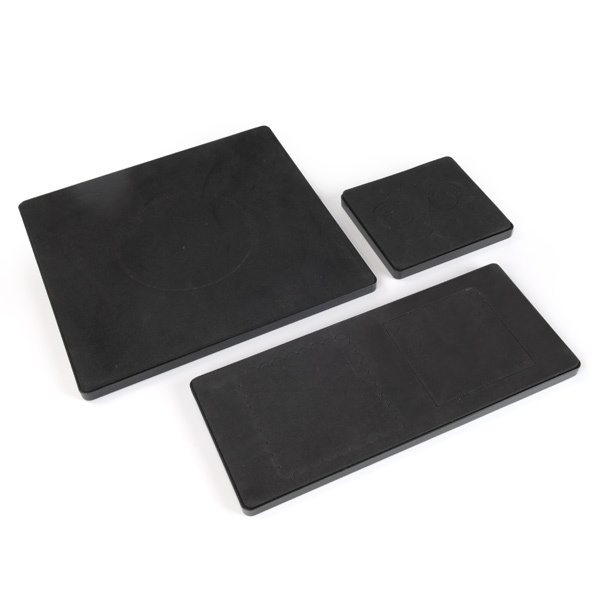 They have sharp, steel, blades housed inside black foam and plastic (see below) and are meant to cut thicker materials than wafer-thin dies (Sizzix brand wafer-thin dies are called Thinlits®). The general rule of thumb is, if you can cut it with scissors, then Bigz can cut it too. There are various sizes of Bigz dies so make sure you have the right cutting pads and machine for your particular die. Compatibitily is usually listed in product listings, so have a close read! Sharon shows us how to use Bigz Dies and gives us plenty of project ideas. She demonstrates how to create a home decor project and a card using the two Bigz dies shown below. The first project is a Sloth Bigz die and she creates this beautiful project perfect for a gift! She also creates a card using the Tim Holtz Cottontail Bigz Die with grey board. The thicker material not only makes the card more durable, but also adds extra dimension to her project. 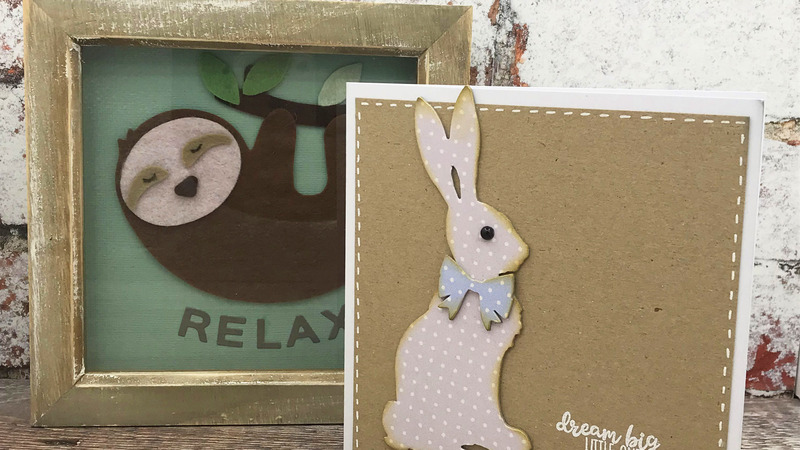 Such a simple, but impressive card, perfect for Easter or a baby shower! Sizzix Bigz dies really open up the possibility of creating more projects because there’s more materials you can cut! This is good news if you aren’t good at sewing and have always wanted to work with fabric or felt. With Bigz dies, you can!